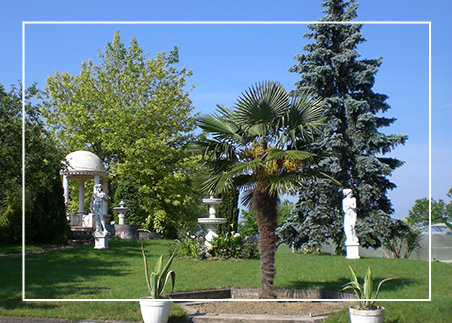 To protect your exotic Mediterranean plants from the cold, Exotic6tem has created the Oasis structure with its variable format – a novel, innovative solution to do away with greenhouses, makeshift shelters and heavy plant pots. Patented in Europe, this unique protection system for exotic Mediterranean plants is comprised of removable polycarbonate panels inserted into an aluminium structure. This hard-wearing, sustainable structure is also adaptable. As your exotic Mediterranean plants grow, the structure can be extended upwards and outwards simply by adding the two base parts of the Oasis structure. In summer, enjoy your planted-out exotic plants after taking just a few minutes to dismount the Oasis structure. It’s the ideal solution for enjoying a little piece of paradise wherever you are. 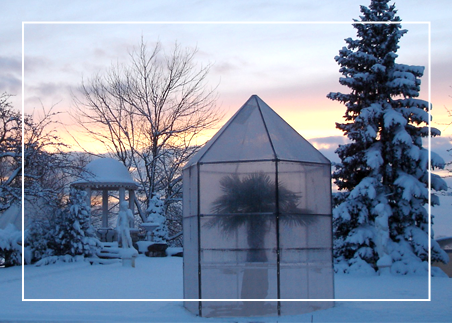 Shielded from the cold, frost, snow and wind, your Mediterranean plants will stay safe during the winter, whether you live in the mountains or in northern regions.